A wired radiant heating/cooling controller and interface set. The controller sends and receives data to and from the room thermostats and sensors to control thermal actuators and other heating/cooling equipment. 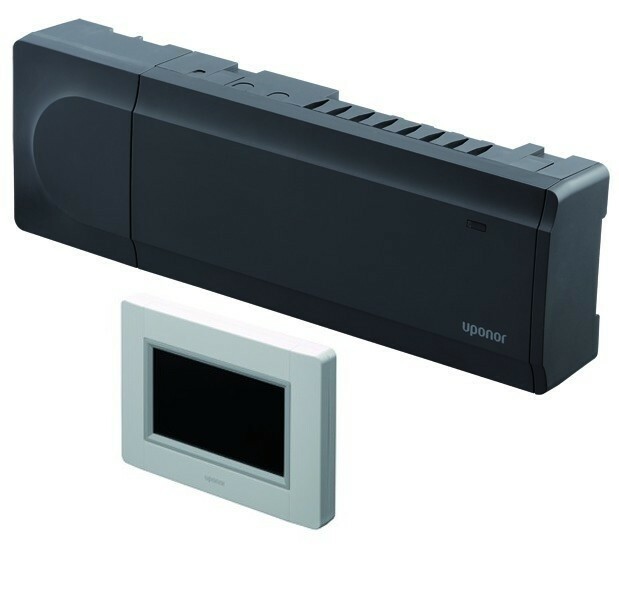 Also included is the I-147 interface allowing for the control of up to 16 controllers depending on specific installation size.